Cotton Creations is happy to introduce a brand-new line of flour sack napkins called the Premiums! These 20 inch by 20 inch cotton napkins are the superior textile for special events and deluxe treatments. 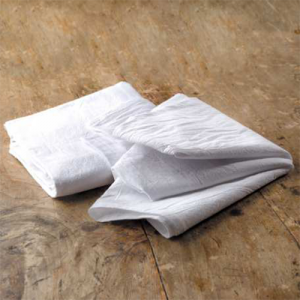 The heavy-weight cotton fabric is suited to be an elegant dinner napkin or top-quality cloths for your guest room. 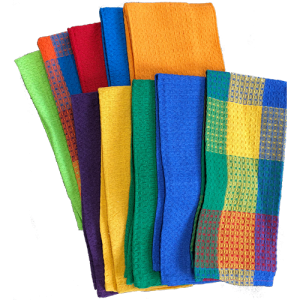 The quality construction of these flour sack towels is noticeable right away; the weave is tight, and the cotton is very smooth and crisp. 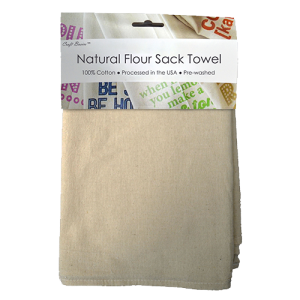 These Premium flour sack napkins add sophistication to any set-up, and can be taken home and used again and again. 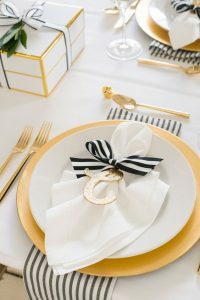 We have had the pleasure of working with many clients to personalize their wedding day with custom wedding favors, napkins, tote bags and more. 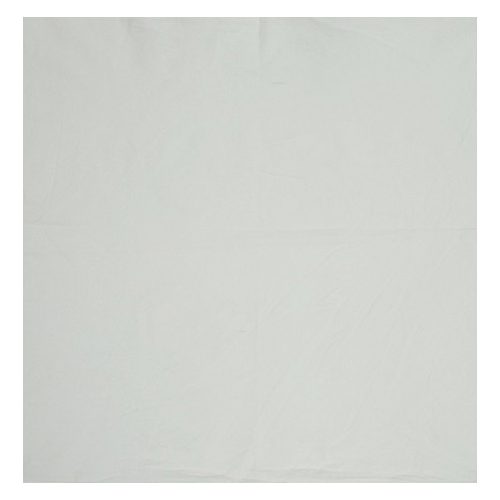 Make an impression on your guests and adorn table settings or gift baskets with this luxurious white napkin. Heavy-weight flour sack towels are thicker than any paper napkin. Plus, they have a much fancier look to them. You can upgrade your event to the next level of sophistication simply by choosing our Premium flour sack napkins. They are also a clever canvas for personalization! A popular rustic wedding trend involves printing your names, initials, program or even wedding menu onto a cotton flour sack towel. Keep near the bar for guests to use or display as your seating “cards”. Add fancy ribbon or tie up with twine for a rustic look. The design capabilities are endless with our online Design Station. Visit our trendy Pinterest page or contact one of our Designers to help make your event truly one-of-a-kind. The Premium flour sack napkins thorough quality checks ensure you have a high-quality towel that is clean, functional and completely unique. Custom towels also make excellent gifts for the wedding party! Print a funny quote or an embarrassing picture to gift to all the groomsmen. Personalize “getting-ready” towels with each name from your Bride Tribe. Spending a few moments designing a custom towel or Premium napkin is worth the years and years of use and love that will come with it. Check out the Design Station today for our own Wedding Templates! The Premium flour sack napkins are a hotel-quality textile that we produce in our very own facilities. Let our small Cotton Creations family provide your home with coziness and cleanliness. 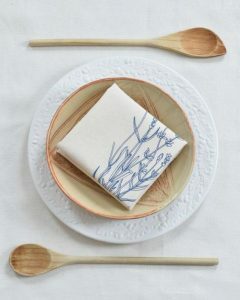 Make your best impression on house guests, who will appreciate the nice and neat cotton linens. These bright white towels are sure to set the standard for comfort and design in your home. 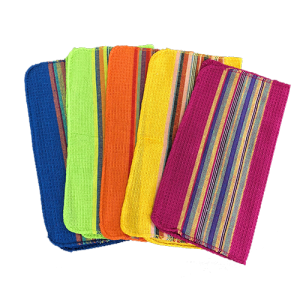 Keep a basket of napkins in the kitchen for mealtime, or stock up your bathroom with these soft cloths. Simply adding a nicely folded, crisp white towel to a freshly cleaning kitchen or bathroom adds an extra touch of extravagance. Visit the Design Station to add your family name or a traditional recipe to Premium flour sack napkins, or add your monogram and use as bathroom décor! Cotton napkins save you money and prevent unnecessary waste. Whether you are enjoying a large wedding or a small family meal, Cotton Creations provides custom, quality towels for your important moments.